Today we went to the South African Museum which was interesting but pretty tiring like most museums. Instead of focusing on just one topic the museum was enormous and covered everything from ancient rock paintings to ocean life to dinosaurs. There even was a planetarium although we did not get a chance to go in. We started in the rock painting section which had actual samples taken out of caves from millions of years ago. They were actually quite impressive and I can certainly say I would struggle to do something like that today. There are both paintings and engravings, although personally I thought the engravings were more impressive looking (mind you, I have absolutely no knowledge in this area whatsoever). 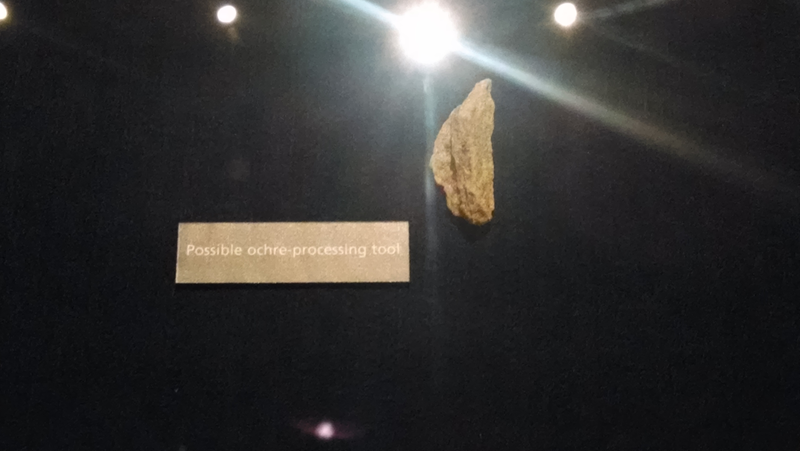 While I know there are methods to differentiate between what humans used and did not use, they are definitely magic to me as I looked at the possible tool they had on display. As we continued through the museum, we happened to see inside one of the preparation rooms. 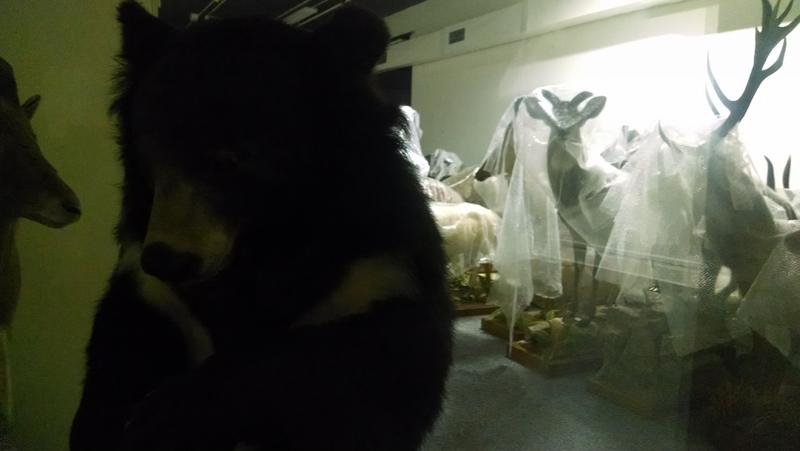 The whole museum is under reconstruction at the moment, so you might not be able to see this in the future, but it was a little creepy. 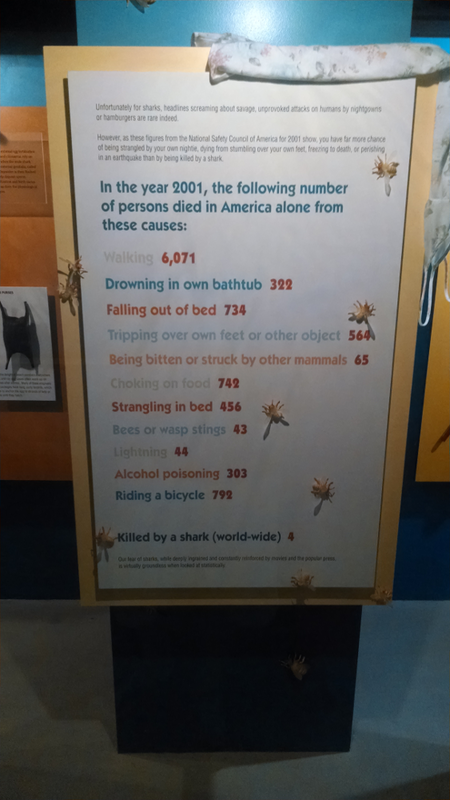 While the museum did have somewhat of a South African focus, I definitely chuckled a bit seeing American data on display for shark attacks in the marine life section. There was also a whole section on The Great Karoo and some of the succulents in South Africa. 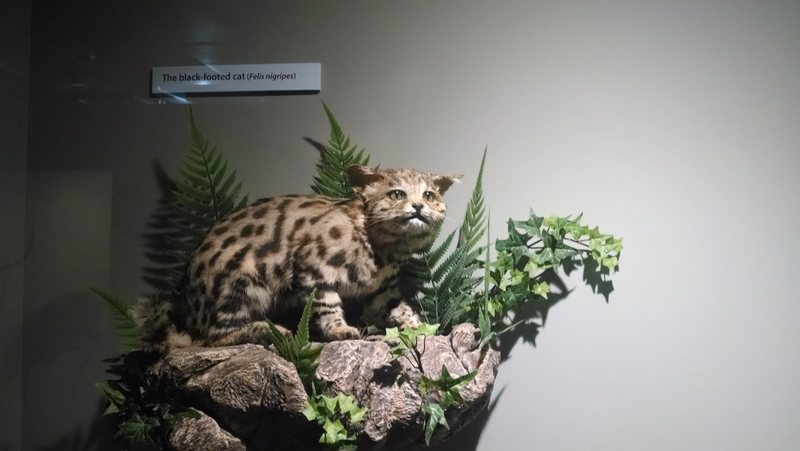 It was interesting to see how little you actually get out of the short museum display piece since it was just a few weeks ago that I travelled to the Kalahari and saw all of the plant life and animals myself. I of course have to throw this picture in because it is cute, and I have not seen it on any of my adventures so far. 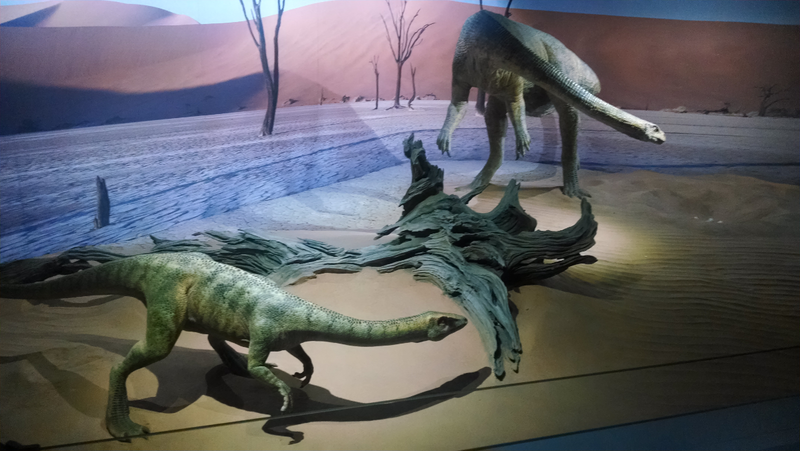 The dinosaur exhibit was actually very well fleshed out. 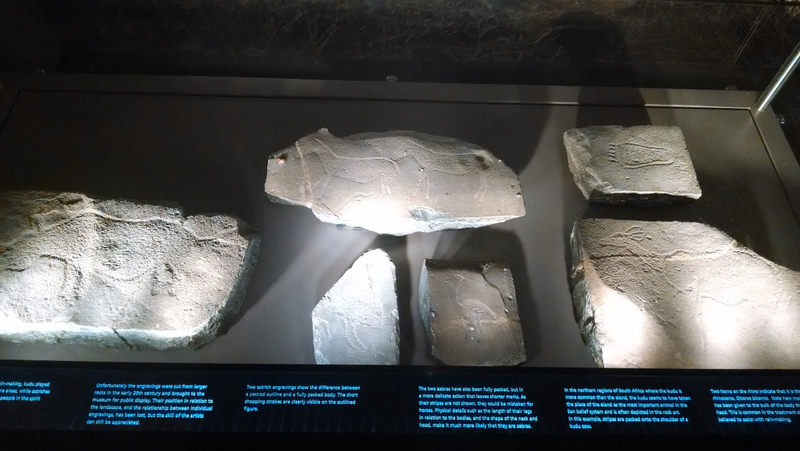 While all of the fossils were reproductions, they were generally pretty well made. There were also a lot of small little "action" displays like the one below. Even the signs admitted they were a bit dramatized, but they were cool to see anyway.